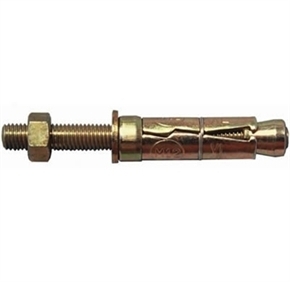 Spit projecting bolt rambolt offer four-way expansion, to produce exceptional grip allowing for oversized holes caused by powerful drills in weaker materials. Zinc plated min 5 micron. Suitable for lift guide rails, brackets, wall plates, scaffolding, hoists, eyes, guy ropes, lighting supports etc.